As Australia enters another scorching hot summer, those living in bushfire-prone areas, whether in a regional location or suburban area adjoining bushland, are reminded of the importance of preparing for the bushfire season ahead. Now is a good time to re-visit your bushfire survival plan and consider tools to help protect your property in the early stages of a fire and the days that follow. Monitoring ember attacks and spot fires is an important part of protecting a property. An ember or spark can impact a house up to eight hours after the initial passage of a bushfire and small fires can spread quickly. Wormald’s sister company, GAAM Emergency Products, has designed a portable firefighting pump, which uses water from a source at home (such as a swimming pool, creek or dam) to help suppress spot fires. The GAAM Fire Defender is capable of dispersing 240 litres per minute at pressures of up to 390kPA . The device is lightweight and easy-to-use, providing a convenient and straightforward solution for fire suppression. 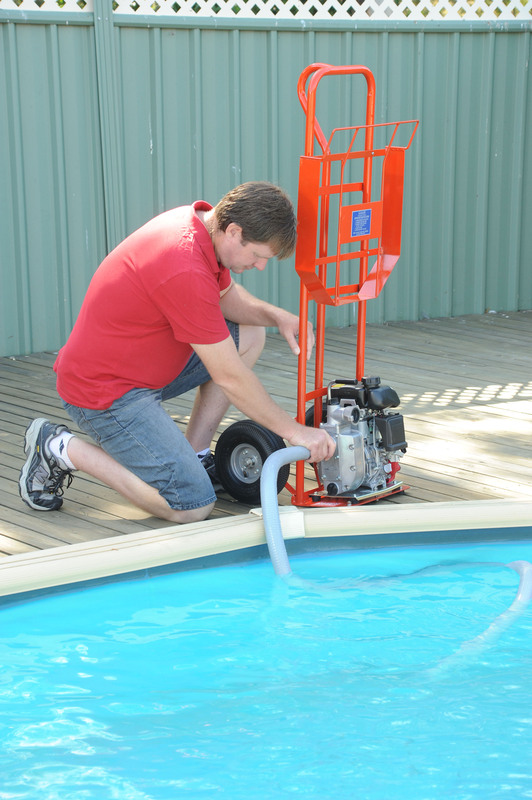 It is placed next to a water source and uses a suction hose, connected to a pump and submerged, to draw water from the source. Another hose is then connected to the pump’s outlet and the Defender’s engine, which is started by pulling a cord. The GAAM Fire Defender is small and compact so it can be easily stored when not in use. As part of a bushfire survival plan, residents should assess their individual circumstances and decide before a fire occurs whether they will stay and defend their property or leave. This helps prevent rushed and dangerous decisions at the last minute. This includes assessing how residents can defend property in the event of a fire, considering what fire protection systems need to be in place and ensuring they know where their nearest shelter is, should they need to evacuate. For more tips on bushfire safety, see GAAM Emergency Product’s preparing for bushfires safety checklist. This entry was posted in Bushfire protection, Home fire safety and tagged bushfire planning, bushfire pump, bushfire safety, pool pump for bushfires by wormaldblog. Bookmark the permalink.